The Haunting of Hill House (HHH) is considered one of the finest horror novels ever written, published by Shirley Jackson in 1959. 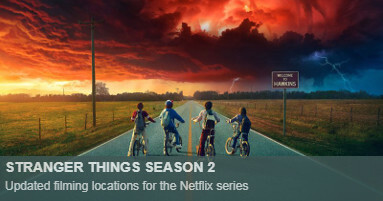 The Netflix horror series is a loose adaptation of the book, about the supernatural phenomena that will have to face a group of siblings who lived their childhood in a famous haunted house. The story has been already adapted into a film in 1963 and 1999 (both called The Haunting). 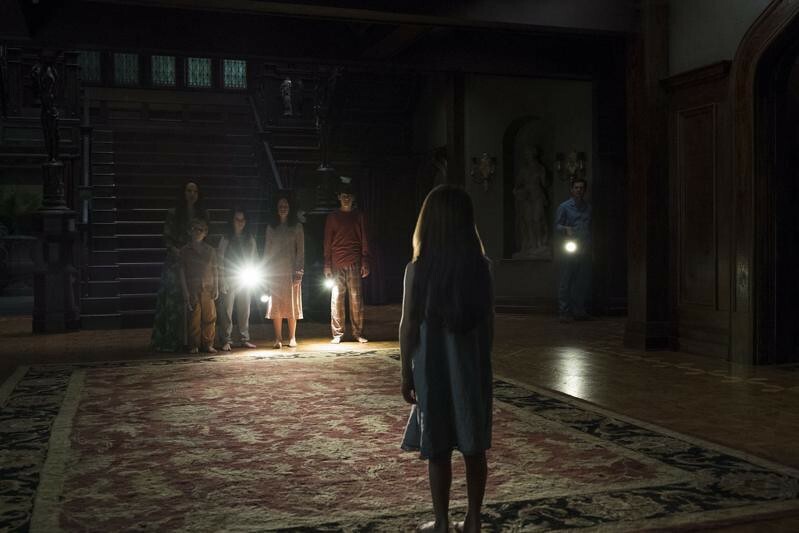 This new HHH version has been directed by Mike Flanagan, the filmmaker behind good scary movies like Absentia, Oculus, or Gerald's Game. 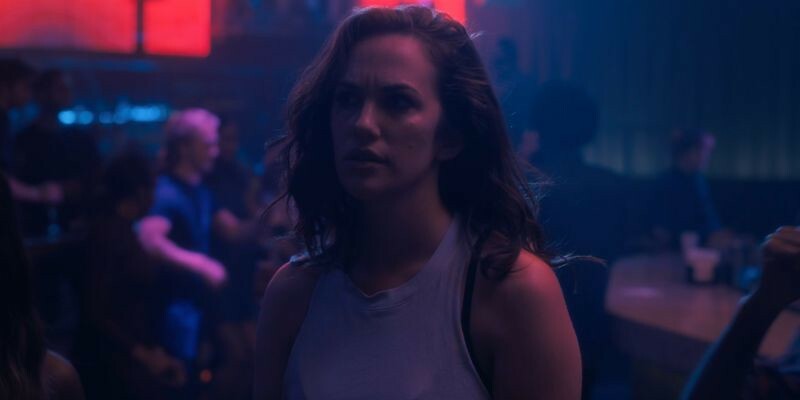 The ten-episode production is starring Timothy Hutton, Carla Gugino, Michel Huisman and Elizabeth Reaser. 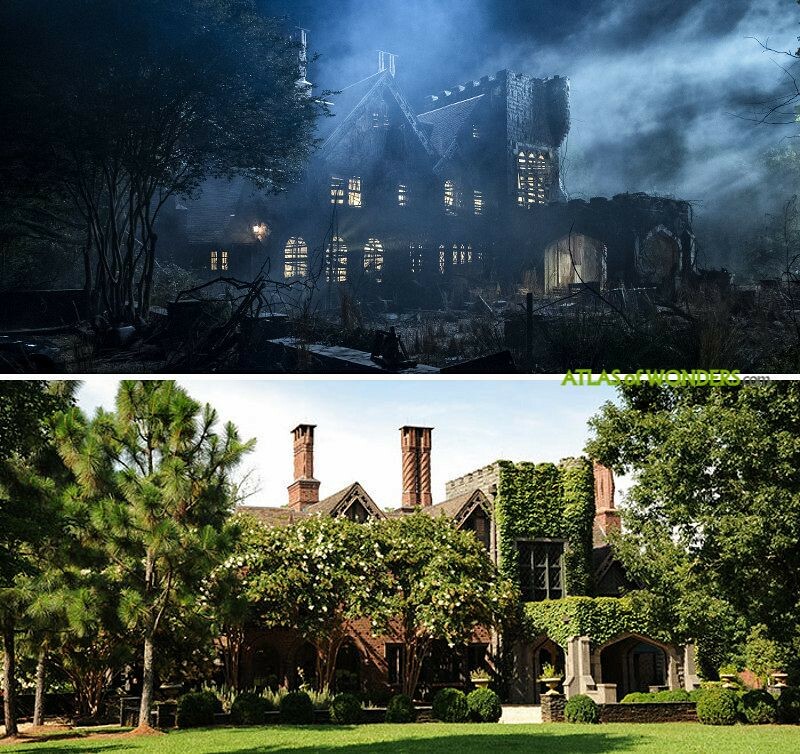 The exteriors of the Hill House were shot in a manor in LaGrange (Troup County, Georgia). This property is a magnificent 1920's English Tudor-style mansion situated in a large estate surrounded by enchanting gardens, bordering West Point Lake. Until recently it was used as a venue for weddings and functions, when it was briefly named Bisham Manor by the event operators. The Hill House location is no longer called Bisham Manor. The home has returned to its original 1920’s name of Alta Vista, as the new owners commented to us, and now has become a private residence again. 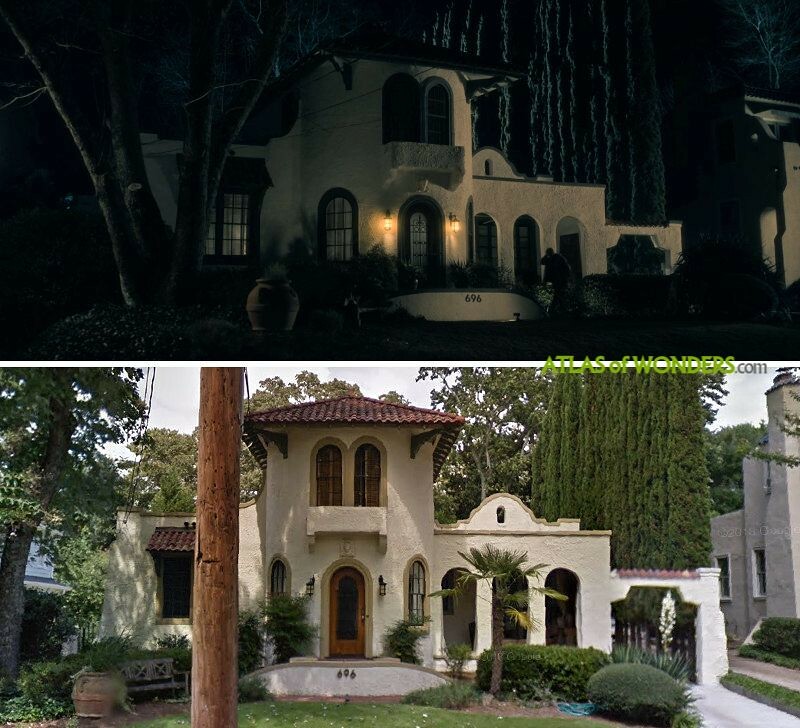 The interiors of the house and Shirley's Crain mortuary were filmed at the large EUE/Screen Gem Studios on Lakewood Way, Atlanta. 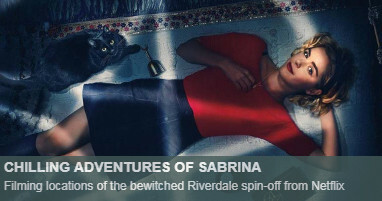 Here it was created the most acclaimed episode of the season, No. 6 called 'Two Storms', being praised for its one-shot takes. 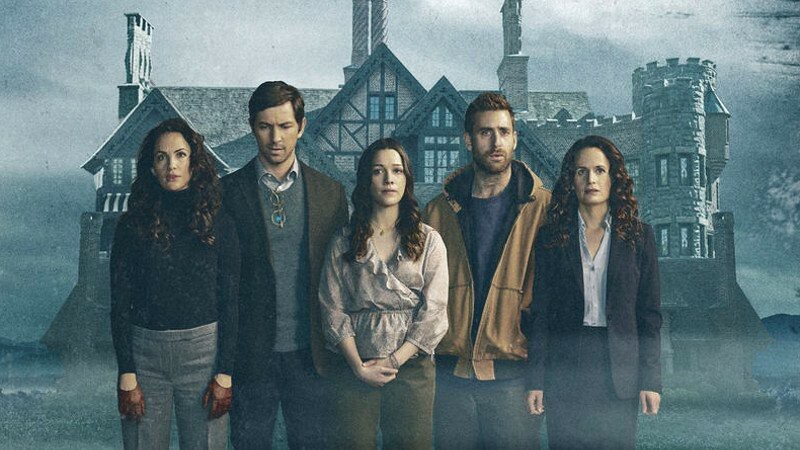 The longest lasts 17 minutes, and the action is switching from the present in the funeral parlor to the events occurred a stormy night in Hill House. 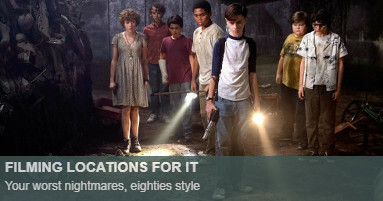 Director Mike Flanagan said in a behind the scenes video featurette that the set had to be actually constructed with this episode in mind. 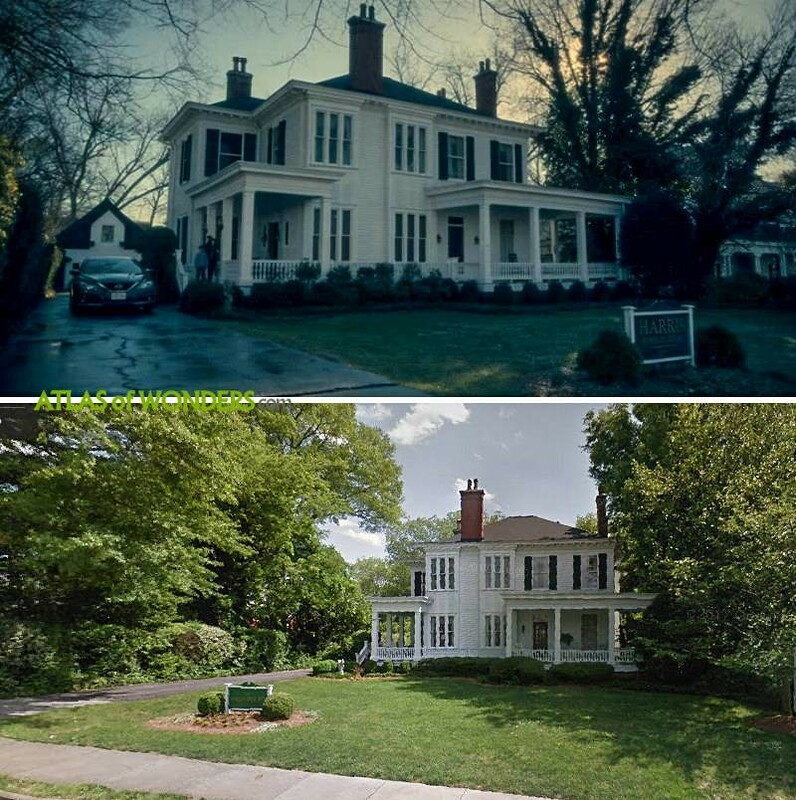 Steven and Leigh's house is located at 696 Sherwood Rd NE in Morningside neighborhood in Atlanta. 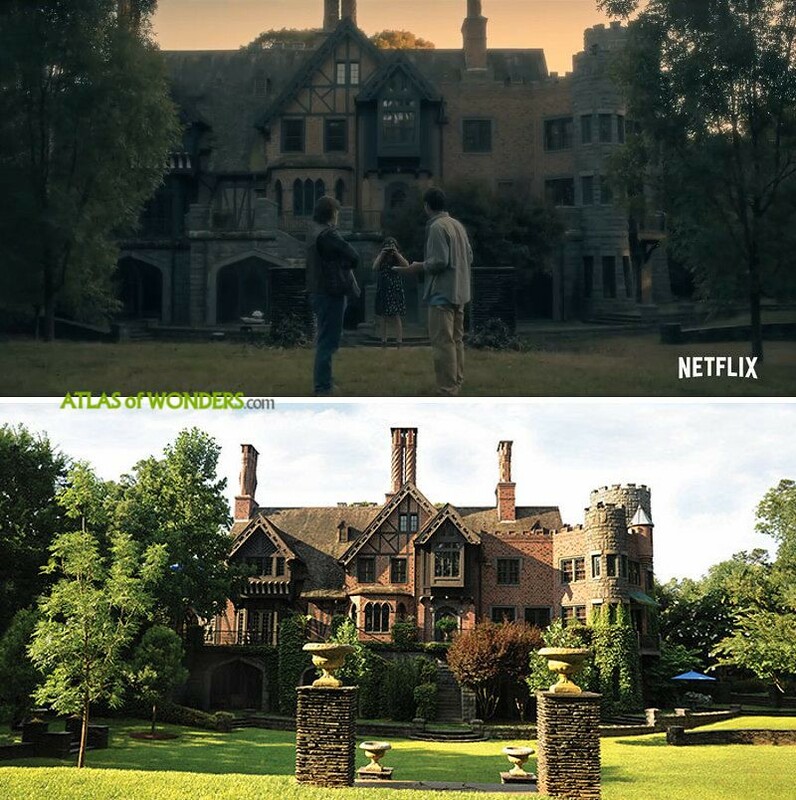 In every episode are hidden ghosts appearing and disappearing in the background of the Netflix series. 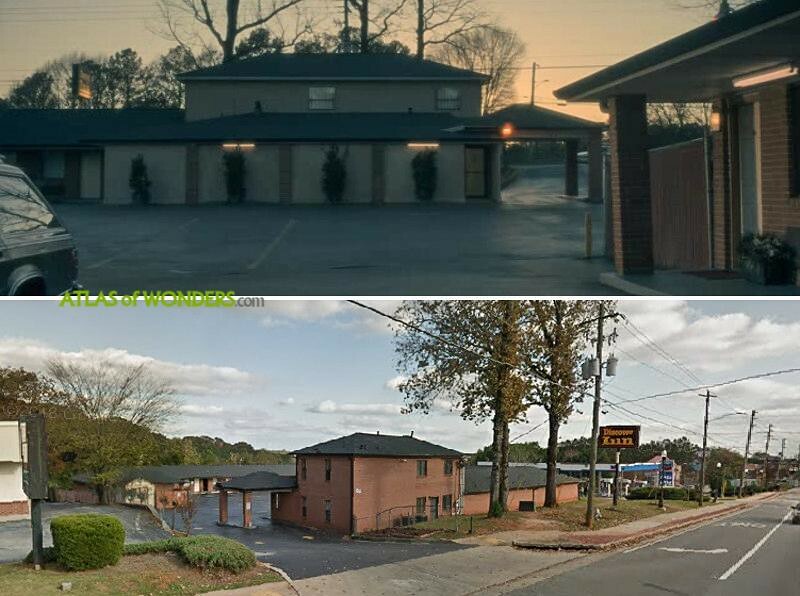 The rehab center of Luke and Joey is the Atlanta Recovery Center on 169 Trinity Ave SW. 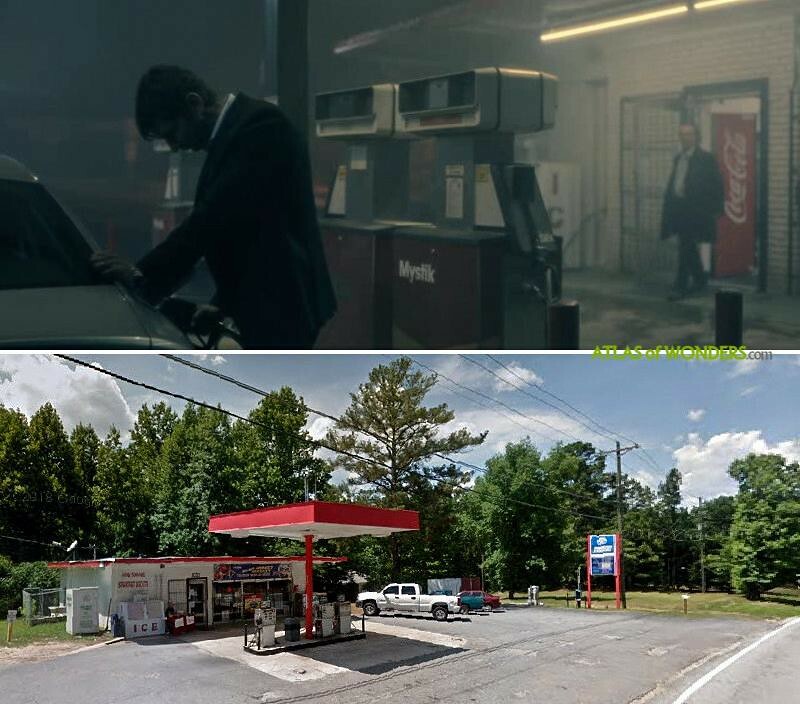 The short scene in the gas station from episode eight is on Post Road in Douglasville. The burial ground from episode seven was filmed at the Greenwood Cemetery in Atlanta. There's even a patch where the grave would have been (you can see it in the satellite image of Google Maps. Buildings, trees, and graves nearby seem to fit pretty much exactly (Thanks Mj for finding this out!). 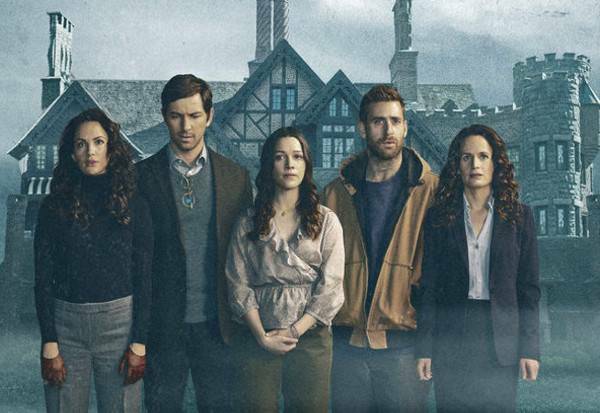 Can you help to improve this article about the filming locations of The Haunting of Hill House? To complete and correct this report, any feedback, info or images that you may have are more than welcome, thank you! If you are not scared enough, you may be considering getting your hands on the original source material of the series. Here is a link to The Haunting of Hill House , one of the top ghost stories of the 20th Century. Discover Inn Hotel on Candler Road in Decatur, Georgia was a filming location as well. 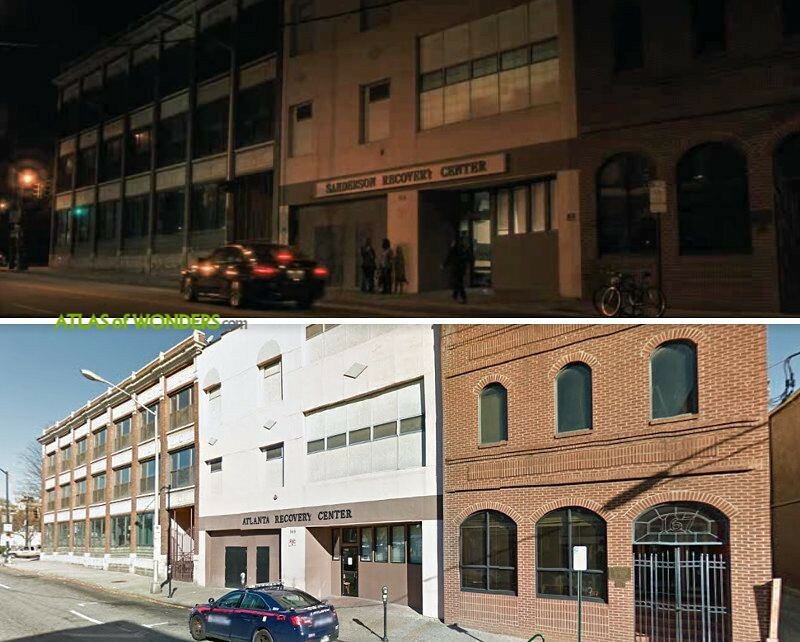 Sanderson recovery center is the Atlanta recovery center on 169 Trinity Ave SW, Atlanta, GA 30303. Nellie's wedding reception was at Hunter-Allen-Myhand funeral home in LaGrange, Georgia. Cumberland Circle, where the taxi drops off Luke and Joey in Episode 4, is in the Morningside neighborhood of Atlanta. The Hill House location is no longer called Bisham Manor nor is it a venue for events. It was briefly named Bisham Manor by the event operators. The home has returned to its original 1920’s name of Alta Vista and is a private residence. Thanks a lot, we updated the post with this info. 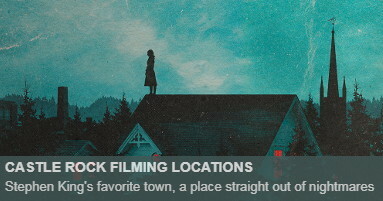 How does it feel living there after watching the series? My family & I lived in the original house back in the mid to late 70's. What you see know is nothing like the original.